The Moonies Anthem begins Moonies K.l.o.u.D gang’s Phases of The Moon with an intense blend of hard-hitting instrumentation and knife-edged flow. The hook is used to great effect here, tattooing the lyrics deep into the minds of listeners. Mooninight Riders is a bass-heavy cut that has an intricate flow requiring listeners a number of spins before hearing every syllable and nuance to the effort. The track blends the classic (Too Short) with more contemporary rappers (Danny Brown, Lil Wayne), adding enough spirit here to make something that has been unheard previously. On Sight is one of our favorite tracks on Phases of The Moon, linking together A$ap Mob and Flatbush Zombies. The rap leaves as abruptly as it starts, hitting hard and going home. Doing the most is a high-water mark for Phases of The Moon, slowing down and building an infectious track off of a slow/fast dichotomy. Slowed and chopped words create an otherworldly sound for this effort. The track ties together a disparate set of styles, adopting a horrorcore sound and a Game meets Jay-Z approach simultaneously. The production of Phases of The Moon creates a close and cozy sound that will make listeners feel as if they are listening to something bleeding-edge and underground. Hitting hard from beginning to the end of Phases of The Moon, the Moonies K.l.o.u.D gang are able to establish themselves as contributing something new and vital while nodding subtlety to the artists and the performers that have influenced them. 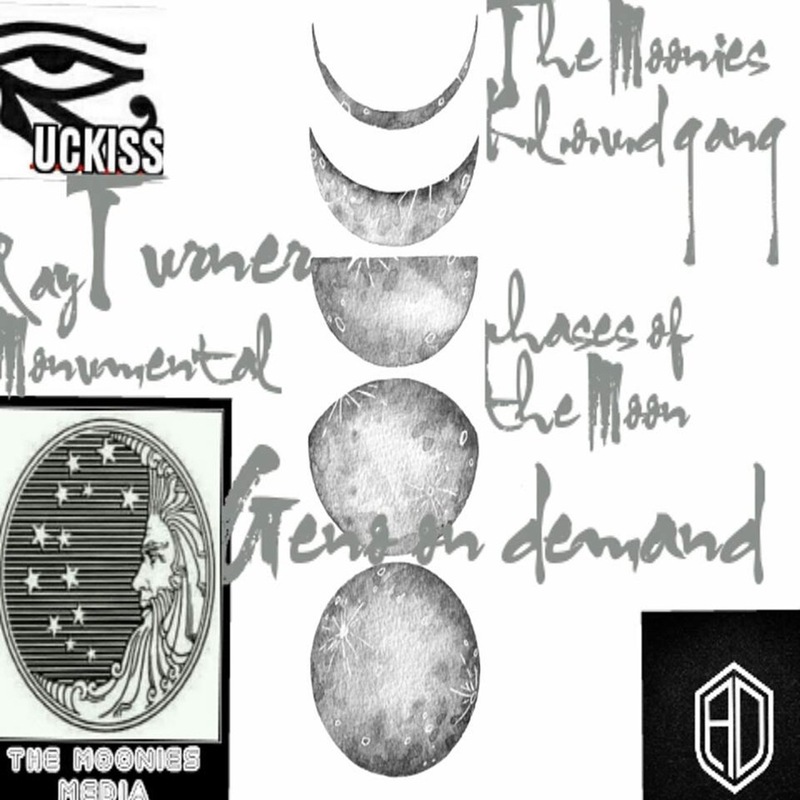 For more information about this act and their Phases of The Moon LP, visit Moonies K.l.o.u.D gang’s Facebook; samples of the music that one will experience on the album can be heard at the act’s SoundCloud.